Managing work, school and life can be a little hectic, my mornings start of really early and my day ends pretty late. Most people try to squeeze in alone time and i don't agree with that, i believe we need to be intentional about it. In my definition 'me time' is for me to wind down, relax, pamper myself, celebrate successes and also includes personal development through reading or watching something etc and i intentionally set aside time for it. I got tagged by Deffinatlyshaz to do this post and so below are a few things about my 'me time'. What do you watch/read during me time? I enjoy crime or investigation series, one of my faves is NCIS Los Angeles so thats the sort of stuff i typically watch whenever new episodes are released. 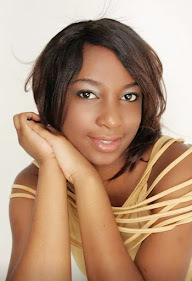 I'm also into always finding ways to improve myself so i follow Terri Savelle Foy podcasts on YouTube she is a life coach who speaks on various topics from a biblical perspective. (Find her!) I love reading and currently reading He's fine..but is he saved, by Kimberly Brooks. (My 2016 goal is to read 6 books, im still on number 1😢). I also really enjoy reading other blogs and getting different ideas and perspectives. Tank top and little pyjama shorts if i'm in doors. What are your me time beauty products? Most times i'll do one of my fave DIY face masks. Current and Favorite nail polish? Matte nail enamel color number 708 by Inglot. I love matte nail colors and this one is a plus because it doesn't have the 'nail polish scent'. Almond nuts, my absolute fave thing to snack on! Or i'll slice up whatever fruit i have in the fridge. I have white bedding so avoid eating on my bed, most of the 'me time' takes place there. IKEA Sinnlig Sweet Berries and Vanilla Pleasure. I started this routine late December but anyway end of each month i will go outside, sit on the benches and self reflect on how the month has been and what i want to work on in thr next month (I do this at the childrens playground/park area in my condominium and sometimes watching the kids play brings so much peace and rejuvenates the inner child within me😊). Would you ever watch a movie alone? At home, all the time. At the cinema, not yet but it's in my bucket list. Lazada! Its a one stop shoppig destination, they stock thousands of products in South East Asia. Eeeeeeermn Instagram, hairlista and other social networking sites. Sometimes i try not spend my me time at home, i'll go to Starbucks order something and just chill in a different environment. If i'm rewarding myself for something i'll dress up and take myself for lunch or dinner. Yes i'm all about celebrating life! Queenngrace, Hairobsessionboobsie, Whatmenasdone , Gracytsitsi & Bybatee ladies i'd love to know more about your free time so i nominate you. Thanks dear. You should try the Vanilla, its mild and just nice however the strawberry has a stronger scent. The best part about IKEA candles is their affordable and last long. Terri Savelle podcasts will surely challenge your current way of doing things (well for me at least). Cant wait to read yours!